From Solyndra to New York Governor Andrew Cuomo’s energy subsidy boondoggle, opposition to costly and harmful “green energy” mandates at the federal, state and local levels remains one of the most important components of CFIF’s mission. Unfortunately, the City of South Miami, Florida offers the latest example in the litany of ill-advised energy mandates. But the positive news is that it can still be stopped. City officials have proposed a new ordinance mandating installation of solar panels on every new residential construction project, as well as every expansion of existing residences. Four similar ordinances exist in the U.S., all of them in California, that exemplar of wise legislation. For starters, the new solar mandate is too expensive for average consumers. Panel installation costs approximately $25,000 for one 10 kilowatt rooftop system, which in addition to a Miami level mortgage can raise monthly costs beyond whatever electrical savings the panels might provide. Among other things, that opens the door to advocates later demanding taxpayer subsidies to cover that cost, a la Solyndra and other green energy subsidies with which Americans have become all too familiar. Another conspicuous problem is that no impact study has yet been performed on the ordinance. Without a reliable assessment of how the ordinance will affect future home construction and costs, particularly for lower-income residents, how can anyone reasonably assess how the proposed law would impact the city? And that’s just a partial list of the flaws in this proposed ordinance. The bottom line is that without more due diligence, consumer protections, safety precautions and impact studies on businesses and residents alike, allowing the ordinance to pass would be the height of irresponsible local governance. 5:00 CDT/6:00 pm EDT: Dr. Victor Davis Hanson, Martin and Illie Anderson Senior Fellow in Residence in Classics and Military History at the Hoover Institution, Stanford University – Can a Divided America Survive? 5:30 CDT/6:30 pm EDT: Representative Frank White (R-District 2), Florida House of Representatives – 2017 Legislative Term. In recent months CFIF has highlighted the danger of relying upon Russian rocket technology, and the need to leverage the U.S. private sector in providing effective, lower cost, domestic rocket engines for space launches. The arstechnica.com analysis by Eric Berger merits a full read. It’s just the latest confirmation that we must leverage market competition to increase effectiveness and cut costs, rather than narrow the field or rely upon Russia for our launch capability. Image of the Day: What Explains That Economic Confidence Jump Since November? 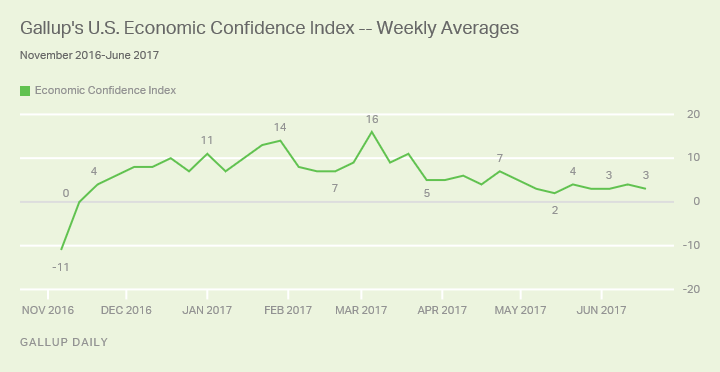 In November, Gallup’s monthly measure of Americans’ economic confidence stood at (-11). It miraculously jumped to (+4) by December, and according to Gallup “remains considerably higher than it was before last year’s presidential election.” How to explain that immediate jolt, not to mention the mainstream media’s conspicuous silence in favor of how many scoops of ice cream President Trump allows at the White House? We’ll probably resolve that deep mystery. There’s additional reason for optimism amid the ongoing battle against New York Governor Andrew Cuomo’s crony-capitalist green energy subsidy boondoggle that CFIF has been monitoring since last summer. Cuomo’s “Clean Energy Standard” (CES) scheme mandates that fully half of all state energy be generated by carbon-neutral plants in just over a decade. Alarmingly, it comes at a cost of $1 billion in just its first two years, and $8 billion over its entire term. Making matters worse, it amounts to crony capitalism because all of the CES subsidies would go to a single company named Exelon, owner of the financially unsustainable upstate nuclear plants. And conspicuously, the plan was approved by a Power Service Commission (PSC) composed entirely of members selected by Cuomo. And who would pay? New York consumers. Flanagan’s proposal retains the subsidy for nuclear plants, which has strong support from upstate members of his conference who represent districts in which the plants are located. At the same time, it lessens the impact on ratepayers of the subsidy, including those in Flanagan’s district on Long Island who are still paying for the shuttered Shoreham nuclear plant. It would also gut a key part of Cuomo’s ambitious renewable energy plan, of which the nuclear subsidy is a component. Cuomo officials have touted the subsidy, which pays the owner of the nuclear plants based on the social cost of carbon avoided by the zero-emissions attribute of the plants, as a bridge to renewable energy sources, ensuring that the plants aren’t replaced with fossil fuel generators. CFIF applauds Flanagan’s leadership in highlighting how Cuomo’s Solyndra-like green energy bailout is a costly loser for New York state ratepayers. Now it’s up to both the New York House and Senate to resolve this matter before its session ends next week. 5:30 CDT/6:30 pm EDT: Tim Lee, CFIF’s Senior Vice President of Legal and Public Affairs: Paris Climate Treaty and the FCC Vote to Restore Internet Freedom. 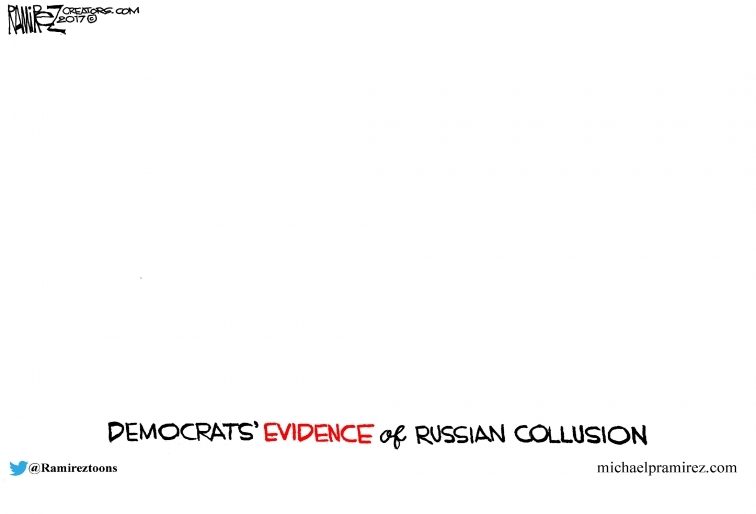 Beyond the James Comey cacophony that increasingly appears composed of left-wing hype rather than legal substance, it’s worth highlighting an encouraging new Rasmussen Reports survey released this week. Police in America have a difficult job and deal with a disproportionate share of society’s underbelly while putting their lives on the line on our behalf every day, but at least they can know that the public overwhelmingly has their back. CFIF has for months highlighted serious concerns regarding proposals to remodel the nation’s air traffic control system. More specifically, alongside other conservative groups, we’ve noted how proposals claiming to “privatize” the system don’t fairly constitute true privatization at all. The federally-chartered nonprofit corporation earlier proposals contemplate repeats the same errors of previous public/private creations like Amtrak and the U.S. Post Office. It would maintain monopoly power over air traffic control while perpetuating and expanding benefits for the current air traffic controllers union, which standing alone undercuts the primary goal of true privatization: eliminating inefficiencies of government bureaucracies in favor of competition and market choice. In fact, the proposal could weaken existing constraints on unionized air traffic controllers regarding such crucial functions as personnel changes, salary limits and the current mandatory retirement age of 56 (whereas pilots themselves can continue to age 65). It’s therefore no mystery why the National Air Traffic Controllers Union advocates the proposal. The new entity would also possess authority to levy new taxes and user fees without oversight of Congress, let alone the sort of competition that true privatization would provide. That could mean much higher costs for the traveling American public. This week, the Trump Administration issued a broad set of principles regarding air traffic control system reform, but it left those myriad serious concerns unresolved. Apart from a generalized comment advocating a no-strike clause in any future agreement, it simply accommodated the flaws of previous proposals or left them unaddressed. The nation’s air traffic control system is too critical an issue to leave vulnerable to the concerns that we and other conservative organizations have itemized throughout this process, and Congress should not authorize any plan that fails to resolve them. Since its inception last August, CFIF has been exposing New York Governor Andrew Cuomo’s crony-capitalist, costly, climate alarmist “Clean Energy Standard” (CES) boondoggle imposed by the state’s Public Service Commission (PSC) composed entirely of his personal appointees. Now, there’s a perfect opportunity for state senators to hold Cuomo accountable and expose for state residents the unfairness, expense and tawdry cronyism of the entire crumbling program. Next week, however, Cuomo’s nominee for new PSC chairman, John Rhodes, will appear before the state senate’s energy committee as part of his confirmation process. At that hearing, state senators must hold Cuomo accountable for the CES’s runaway costs to taxpayers, get answers regarding the plan’s failures and demand a commitment to reverse or at least confine costs to areas of the state in which the relevant plants are situated. Additionally, senators can ask on behalf of taxpayers how it’s remotely fair for residents of Long Island to pay for plants like Shoreham located six or more hours away without burden-sharing from the remainder of the state. It makes no sense in terms of fairness, cost or efficiency. Less than a year into this boondoggle, the CES plan is already collapsing. Accordingly, state senators should get to the core of the problem, demand answers and require mitigation of damages. Because state taxpayers who will pay the price are watching.